4th Century St.Augustine Exposes Ape-To-Man Hoax. Discussion in 'Creation & Evolution' started by FEZZILLA, Feb 4, 2019. Ever since I was a kid in school I was taught that Darwin was the first man who discovered our alleged ape to man origin. This is something that is drilled into our minds since our youth. But what would happen if it were historically presented that Darwin's philosophy which teaches that monkeys, apes and humans belong to the same pedigree existed long before Darwin? Would that not prove that evolution is ancient pantheist religion? Today people think Darwin was some great scientist who proved man evolved from apes. But this careless thinking avoids the reality that what came down to us from Darwinian assumptions had been an ancient mystical belief long before Augustine's time. Here, 4th century Augustine is speaking about the origin and diversity of humans and some myths which have come about since ancient times. "Some years ago, but certainly in my time, a man was born in the East with a double set of upper parts, but a single set of the lower limbs. That is, he had two heads, two chests, and four arms, but only one belly and two feet, as if he were one man. And he lived long enough for the news of his case to attract many sightseers. In fact, it would be impossible to list all the human infants very unlike those who, without any doubt, were their parents. Now it cannot be denied that these derive ultimately from that one man; and therefore the same is true of all those races which are reported to have deviated as it were, by their divergences in bodily structure, from the normal course of nature followed by the majority, or practically the whole of mankind. If these races are included in the definition of 'human', that is, if they are rational and mortal animals, it must be admitted that they trace their lineage from that same one man, the first father of all mankind. This assumes, of course, the truth of the stories about the divergent features of those races, and their great differences from one another and from us. The definition is important; for if we did not know monkeys, long tailed apes and chimpanzees are not men but animals, those natural historians who plume themselves on their collection of curiosities might pass them off on us as races of men, and get away with such nonsense." "Some years ago, quite within my own memory, a man was born in the East, double his upper, but single his lower half--having two heads, two chests, four hands, but one body and two feet like a ordinary man ; and he lived so long that many had an opportunity of seeing him. But who could enumerate all the human births that have differed widely from their ascertained parents? As, therefore, no one will deny that these are all descended from from that one man, so all the races which are reported to have diverged in bodily appearance from the usual course which nature generally or almost universally preserves, if they are embraced in that definition of man as rational and mortal animals, unquestionably trace their pedigree to that one first father of all. We are supposing these stories about various races who differ from one another and from us to be true ; but possibly they are not ; for if we were not aware that apes, and monkeys, and sphinxes are not men, but beasts, those historians would possibly describe them as races of men, and flaunt with impunity their false and vainglorious discoveries." Charles Darwin would be the natural historian who would entertain the false theory which placed man in the same pedigree as the moneys and apes. 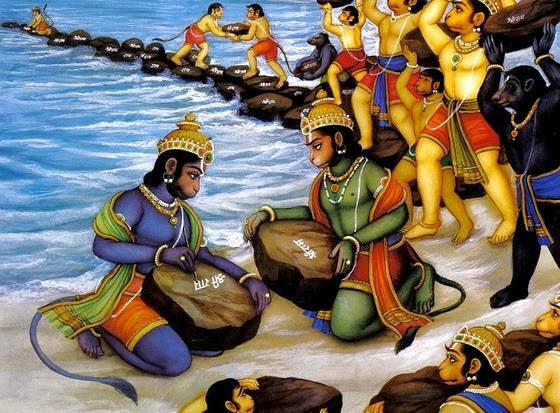 Also interesting is how there is a Hindu legend of the vanara who are said to be ape men. So we do find an ape man myth in ancient history. Would that not prove that evolution is ancient pantheist religion? Brightmoon Apes and humans are all in family Hominidae. No it wouldn’t prove anything other than some ancient spokesman had guessed correctly about great ape ancestry without actually understanding why it was accurate. But Augustine didn't mention anything about one man's guess. He spoke about a school of natural philosophy who taught that humans and apes belong to the same pedigree. But I thought Darwin was the first one. Could it be that Darwin read a lot of pagan literature from the classical period of history and was influenced by what he read? Great. But that is still far removed from Augustine's time by over a 1000 years. So perhaps this grandfather lineage is traced back to the pagan philosophers it came from. No, Darwin wasn't first, even in modern times. Nor did Darwin read a lot of pagan literature. He was too busy doing science. In my debates with Darwinians I would satirically call Darwinian universal common descent a mythology, I had no idea this kind of thinking existed in pagan mythology, it was more of an hyperbole. This quote gave me pause though. I've long considered the stone age ape man, Homo habilis, was a modern myth and remain convinced there was no such thing as a stone age. I'm not sure the Goldschmidt monstrosity is related but like I said, because of the language, it immediately reminded me of his use of the term monstrosity. Thanks for the quote, Augustine seems rather cautious in what he is saying, I get the impression he wants to be very cautious about delicate theological issues he is dealing with here. Caution is well advised, I don't think he is debunking a hoax, I think he is considering the Hindu myths of the Vānara and personally I consider them to be about as historical as the stone age ape man. At any rate, thanks for the quote. GoldSchmidt has been misused by creationists for decades as has SJ Gould’s punctuated equilibrium . The microevolutionary changes are the small tweaks to DNA that happens every time a genome is copied. Your DNA is not an exact copy of the DNA you got from your parents , for example! That sloppy copying is what drives evolution. Some mutations are bad,some are beneficial, some are mixed blessings, and most are neutral. I'm always amused when creationists claim to have been 'drilled with darwinism' since their youth, yet demonstrate profound ignorance regarding Darwin's actual research. First of all, mutations don't drive adaptive evolution and there is no empirical reason to believe they do. Any change in the DNA sequence is automatically considered a mutation which is a serious equivocation fallacy, hardly worth addressing. Goldschmidt was simply offering a hypothetical which is perfectly consistent with adaptive evolution, he just startled people who wanted to hold to the Neodarwinian gradualism. Gould makes a remarkably civil argument that punctuated equilibrium makes sense under certain circumstances and has never been outside of the modern synthesis, it's just not Darwinian. Homo habilis skulls are apes, there is no question about that. The Neanderthals were human and with DNA comparisons scientists have concluded the could have interbreed with modern humans. The Denisovians were considered to have an intermediate skull, right up until they found a complete skull. The so called Hobbits were human, they were small but there were smaller versions of different animals found in the same area. There is only one species of humans, diverse as we are we are completely discernible from apes. That not withstanding Augustine was discussing pagan mythology, which is all the Darwinian tree of life ever was in the first place. It's just surprising that it was addressed by such a distinguished Christian theologian so early in the Medieval period. I'm familiar with his work and it's essay style arguments meant to appeal to an atheistic and agnostic worldview. The profound ignorance is among Darwinians who don't even know the basics of evolutionary theory. Are you aware of how much research Darwin accomplished in his lifetime? Are you aware all he accomplished was two best selling books? I do think Augustine may indeed be speaking about the Hindu legend but I'm not 100% certain. But he does seem to be speaking about that region of the world. The myth he debunked was our own modern myth borrowed from pagan legend. I can actually do this with all doctrines of evolution as the early church fathers debated all doctrines of evolution theory as we know it today. Very little about evolution theory is original. Only about 5% of the theory is found exclusively in the 19th, 20th, and 21st centuries. Literature from pagan philosophers is what Darwin was reading. That literature had been missing from western society for hundreds of years. The crusaders retrieved all that literature from the muslim who stole all the western knowledge of the world. It was all discovered translated in Arabic and had to be translated back into Greek and Latin. Not all the stolen western works were beneficial to western readers who didn't have any knowledge of ancient myths. Darwin was a undisciplined philosopher who fell for the worst philosophers of the Greek and Roman age. Darwin was not a scientist. He was a failed theologian who lived off his rich daddy's inheritance. They call this an armchair philosopher. Darwin was never trained in science nor did he have the discipline to grasp scientific method. He read Greek and Roman literature that was retrieved by the crusaders. Actually its the other way around. Most atheists think Darwin was a scientist...he was not. Most atheist believe Darwin was the one to (supposedly) discover the ape to man link. But it all came from ancient pagan beliefs. Darwin was not a scientist. This is untrue. Maybe you disagree with his findings, and you're free, too, but that doesn't erase the fact that, by definition, he was a scientist. Even if true, none of that precludes him from being a scientist. One can be a failed theologian AND a scientist. Darwin was never trained in science nor did he have the discipline to grasp scientific method. This is also untrue. He was quite knowledgeable in zoology, botany, geology, and biology. He worked with Adam Sedgewick, one of the founding fathers of geology, and his education in botany was what got him on the Beagle in the first place - he was recommended by the professor of botany at the University of Cambridge. He wrote papers, did research, and published books on his findings before and after the two that everyone knows about. Again, you obviously disagree with many of his conclusions in these fields, but that doesn't make him less of a scientist.